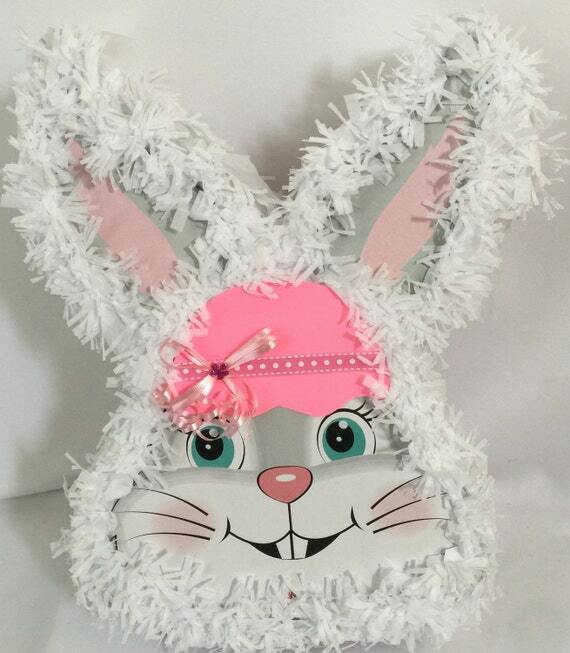 Measures approximately 22″ high and 22″ wide This pinata is handmade with cardboard, tissue paper. Holds up to 7-8 lbs of candy. 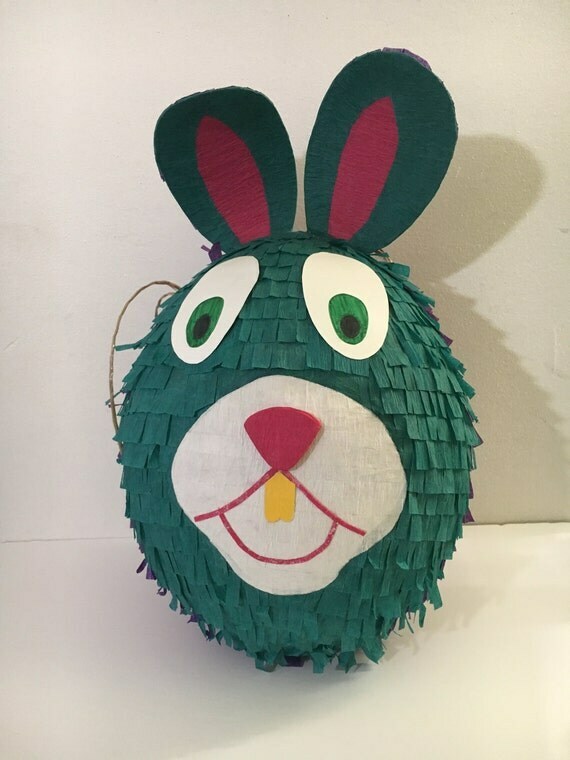 The pinata is designed to be broken with a bat or Pinata Buster. (durable and will not break quickly). 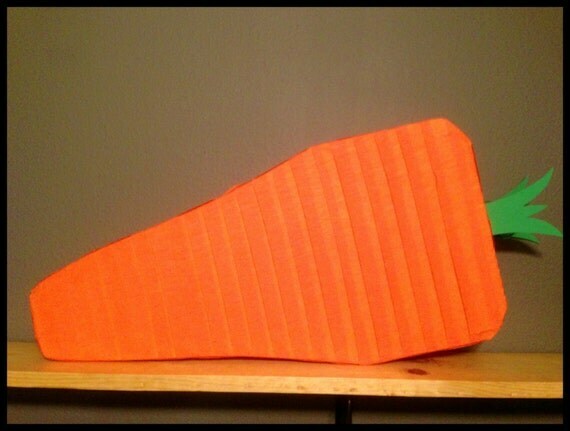 This carrot is the perfect addition to your farm, bunny, rabbit party! 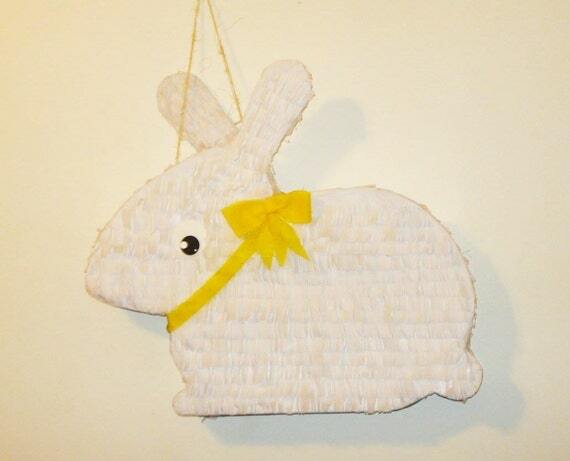 This pinata is made of durable cardboard so it’s sure to make it through all your little ones. It can also be made pullstring for no additional charge. This handsome guy is ready to ship! Measurements are 27 x 8.5 inches. It comes ready to hang and has a trap door on the back for candy or party favors! Small packet of Mexican confetti included! 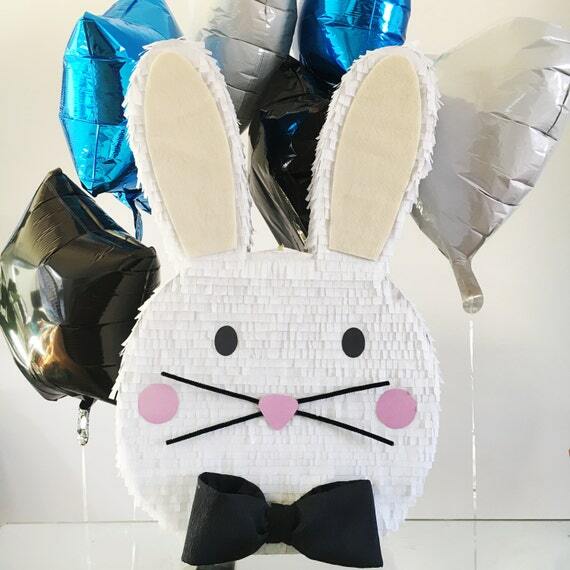 A very cute cartoonish bunny pinata for any silly party, you might have. It is purple and a blue/green color with big eyes and big ears standing out. Hole and rope included on the pinata ready to go. Candy not included.